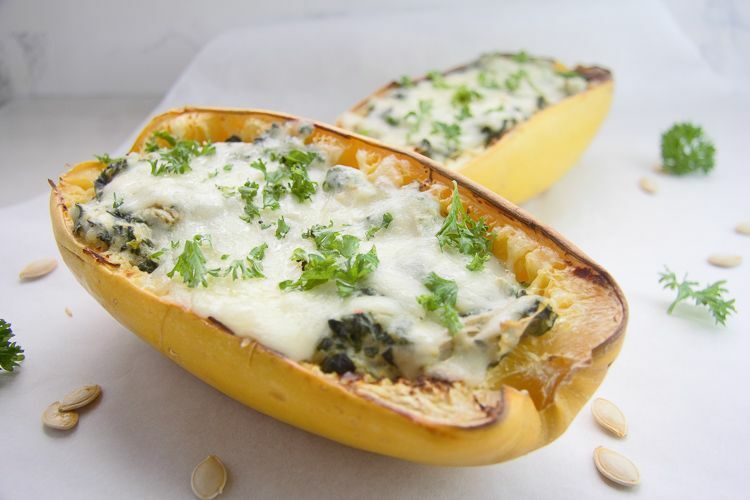 Stuffed spaghetti squash is a great healthy comfort food and so easy to make too! A versatile and healthy dish perfect for a cold day. 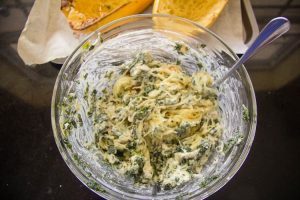 One of my favourite recipes is a creamy spinach and artichoke dip and I thought I would incorporate it with a baked spaghetti squash. 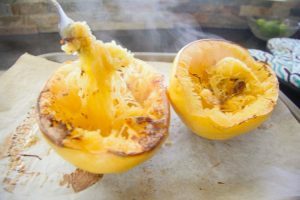 It makes a delicious filling and goes so well with the sweetness of the squash. This is a very filling dish and could happily be shared by 4 people. Or two very, very hungry people. I’ve found that I eat half of a shell, then devour the remaining half the next day. It’s a “return later” dish. 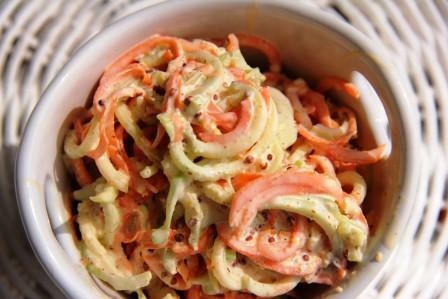 You could serve this as a side dish to share too. 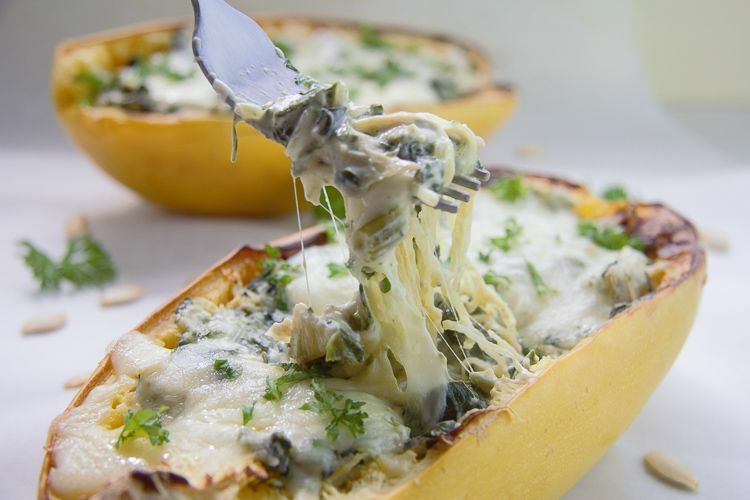 Did you know that technically spaghetti squash is a fruit? Botanically, a fruit bears seeds and develops from a flower. Live and learn! 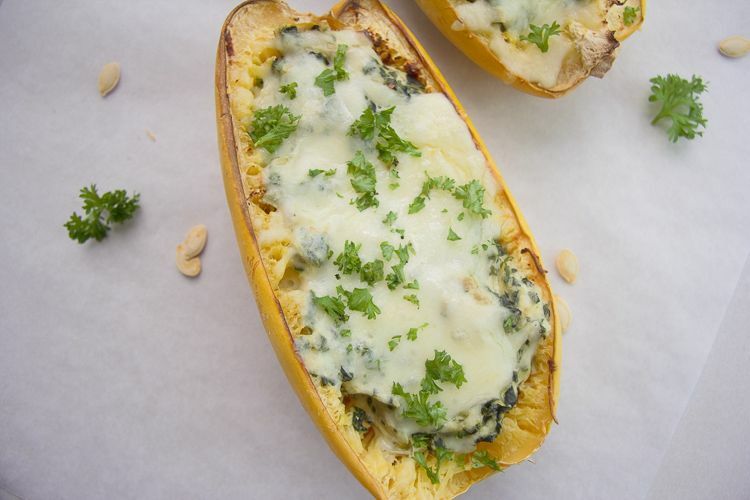 I love the simplicity of this stuffed squash and you could prepare this ahead of serving too. 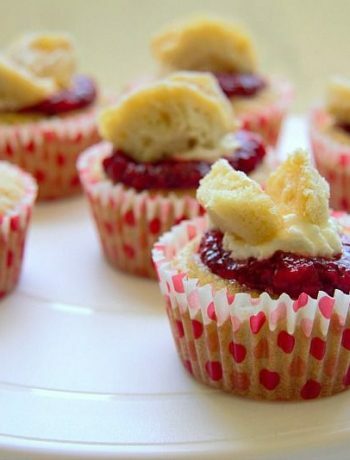 Just bake it when you are ready to eat! Perhaps add a few ingredients to this filling too. 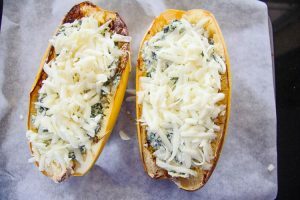 Maybe chopped bacon or shredded chicken to the spinach artichoke filling. Simply slice, bake, stuff and bake again! It doesn’t get easier than this! 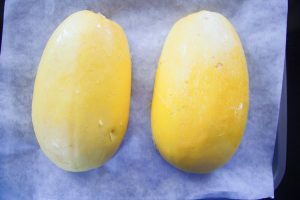 Take the spaghetti squash and with a sharp knife cut it in half. Remove the seeds and place onto a parchment lined baking tray with the cut side facing down. 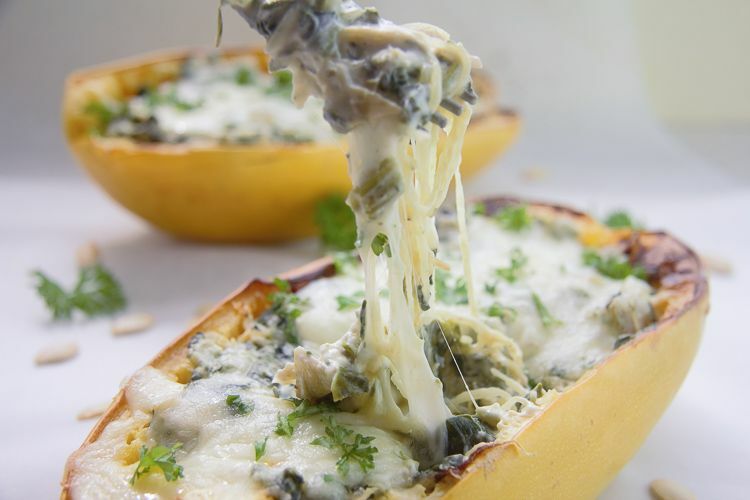 In a bowl, mix the garlic, spinach, cream cheese, artichokes and Parmesan cheese together. Season with salt and black pepper. Add the spaghetti squash noodles and mix thoroughly. 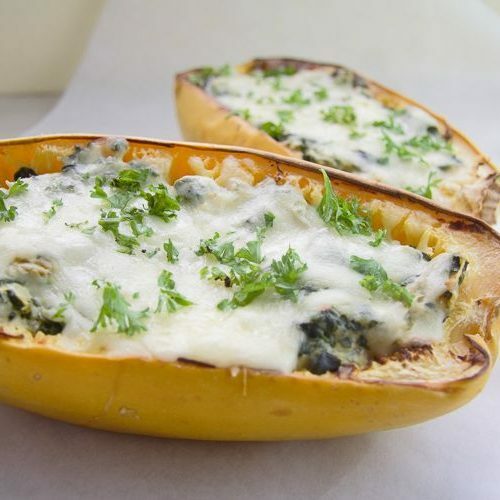 Spoon the mixture into the spaghetti squash shells. Sprinkle the grated mozzarella over the filling. 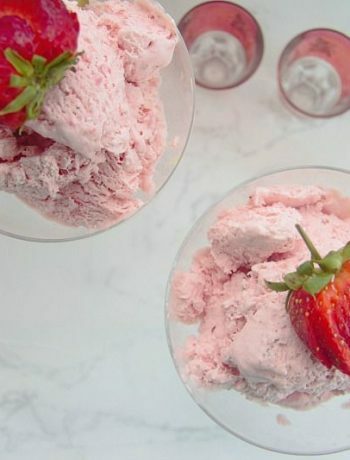 Any nutritional analysis on the website is based on an estimate, calculated by http://nutritiondata.self.com from the individual ingredients in each recipe. Variations may occur for various reasons, including product availability and food preparation. We make no representation or warranty of the accuracy of this information.